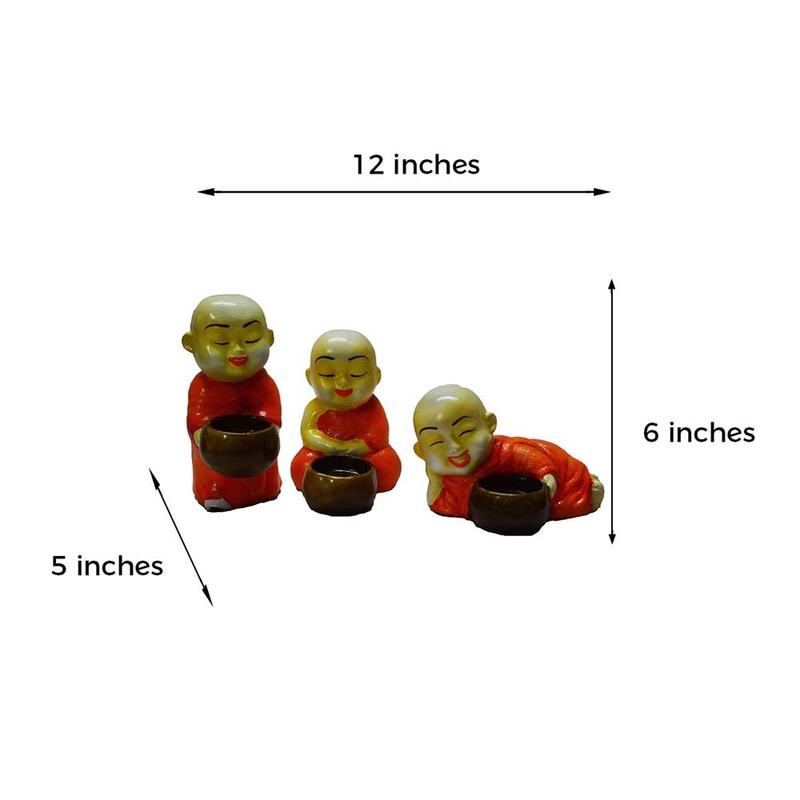 If you have an eye for style, ethnicity and traditionalism then the set of 3 monks candle will help light up your home with its illumination and good looks. The candle stand has been crafted by some of the best artists with an eye for intricate details and sophistication. 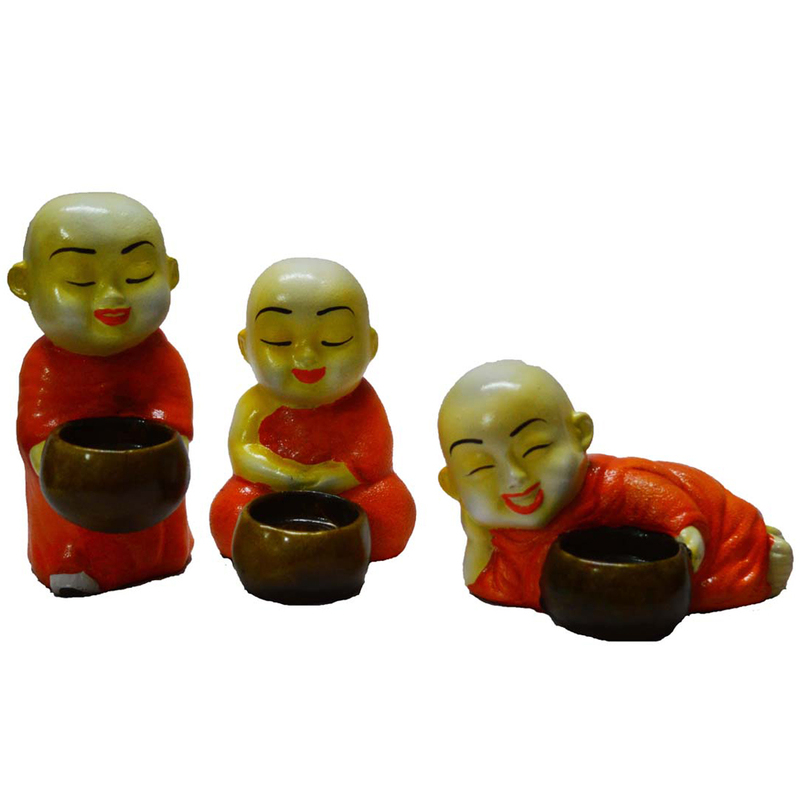 Now brighten up your dull and dark ambience with the help of Set of 3 Monks Candle Holder - Orange color. These candle styles are Read More..classy and stylish and will definitely leave a long lasting impression on your guests and relatives. Made from the most durable and best quality resin fiber, this wonderful piece of candle stand will surely adorn you home beautifully. 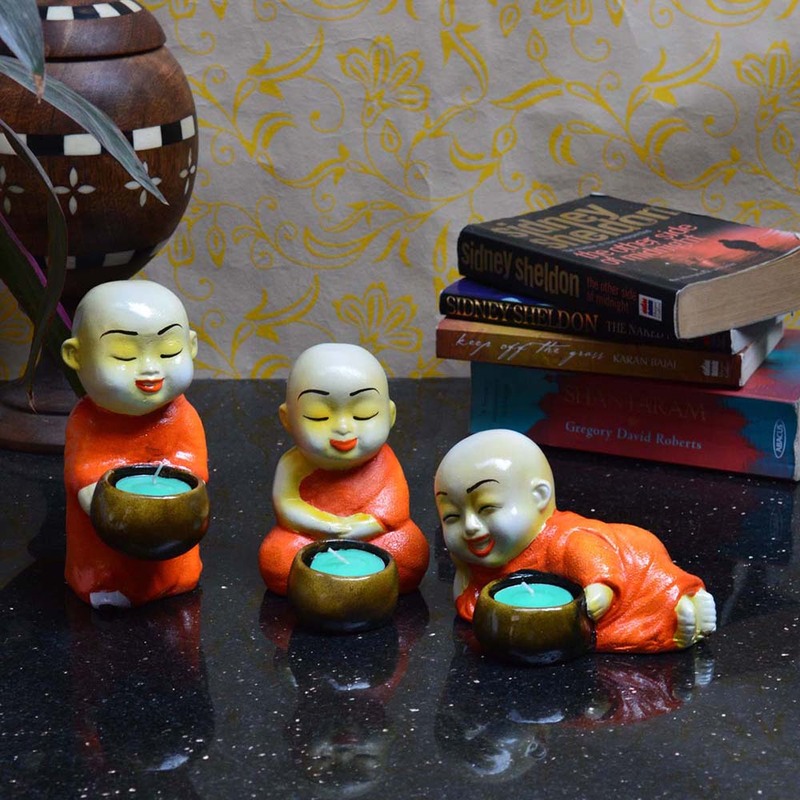 This candle stand is also a great piece of art work that can be gifted to your friends and your loved ones during festivals and special occasions. Show Less..